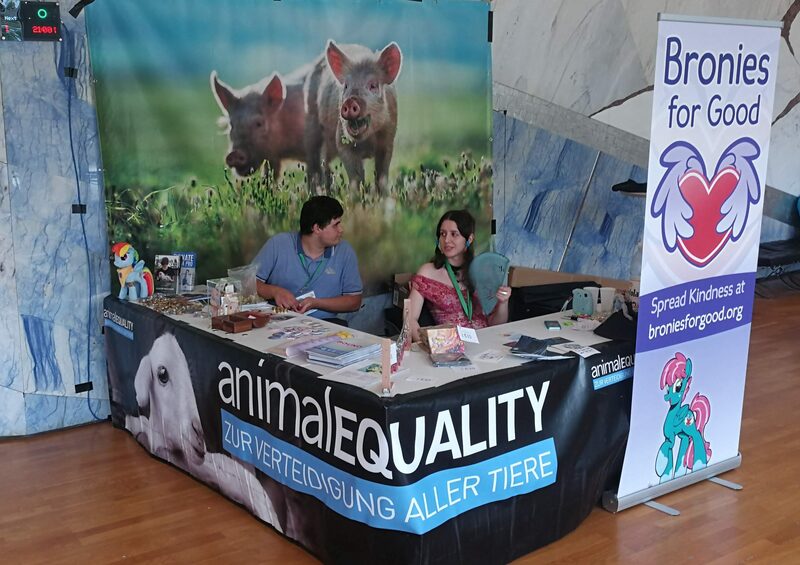 GalaCon 2018 raised a record sum of almost €27,000 for Animal Equality, exceeding even the highly successful year 2016 despite having only one auction. Our table – run by Velvet Wings, Wilhelm Stahldecker, and me – continued the trend of underperforming the previous year, one possible reason being that fewer and fewer people don’t already have our comic book. Our new addition this year – physical copies of our eight music albums and the four contributed ones on a USB drive – didn’t entirely compensate the downward trend even though they were highly coveted. The auction, on the other hand, was a resplendent success. Possible reasons include increased pooling of funds in bidding wars, extra time, and acceptance of electronic payments. Winners still paid about €16,000 in cash but also about €7,000 through credit card, debit card, or PayPal. The PayPal transactions will have incurred additional fees, which I have only estimated below. I’ll update the post when I have more precise data. Derpyfest generously offered to again dedicate a raffle to fundraising for Animal Equality. The returns went up from €316 last year to €416 this year. Additionally, they provided us with a comped table at which we managed to raise another €400 for the charity! The most popular items in number and value were our “bit coins,” our comic book, and metal pins of our logo. Each year, Bronies for Good’s Seeds of Kindness albums gather the pony community’s top music creators musicians, artists, and brony media organizers to kick off their charity drive with a bang. In just a few days, our new album will be released. With 14 songs from various genres, A Healing Touch presents the united effort and dedication of many talented musicians in their hopes of making the world a better place. Now, it’s your chance to help. The Seeds of Kindness fundraising projects have been an enormous success, raising over $200,000 for worthy causes over the past six years, and it’s all thanks to the altruism and generosity of you, the fandom. Come join us in celebration as we kick off another fundraising season with our release party for Seeds of Kindness: A Healing Touch! Stream and group chat enabled by Ponyville FM! There will be an online fundraiser, accompanied by a stream of the album. When you donate, you can download A Healing Touch, and all of Bronies for Good’s previous albums! This year, the theme of the album is healing. It’s a tumultuous period in human history that we live in. In these hard times, we could all use a little bit of healing. While there may not be any easy answers to our troubles or to the world’s, we can still reach out and extend a healing touch to those who need it most. That’s what Seeds of Kindness is all about – lending a helping hand by connecting the fandom with charitable organizations that make every penny count. The Against Malaria Foundation https://www.againstmalaria.com/default.aspx is ranked as one of the most effective charities in the world. They have a strong track record and a commitment to efficiency, program monitoring, and transparency. Over 200 million people contract malaria every year, and many who survive are locked in poverty due to expensive treatments. It is a permanent catastrophe. It is also easily preventable. As malaria-infected mosquitoes mostly bite at night, it can be prevented with cheap, long-lasting insecticidal nets. As little as $3 buys a net that will protect two people for three to four years and contribute to the permanent elimination of the disease. The efficiency of this form of intervention has been thoroughly proven. GalaCon 2017 may not have reached the incredible impact of last year’s GalaCon, but it was nonetheless a resounding success for the animals – mostly chickens and fish. Our totally genuine Equestrian bits were very popular at the table, and so was Bound Together even though most comic-reading attendees probably already had a copy. 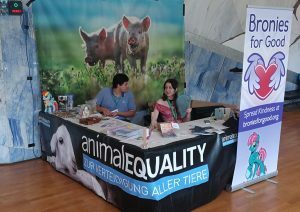 All in all, we – GalaCon with the auction and Bronies for Good at our booth – raised €15,624 for our charity, Animal Equality. 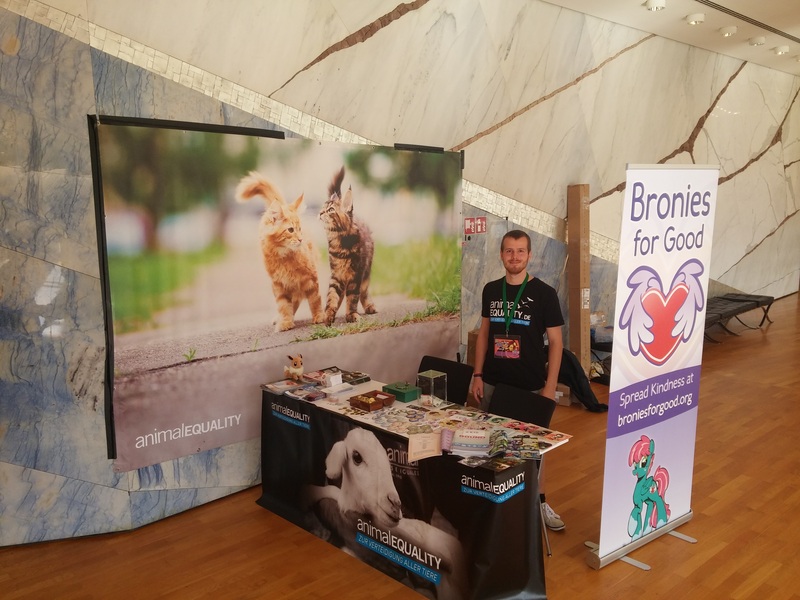 GalaCon is still seeking more in-kind donations to put on another two hours of charity auction extravaganza this summer – all for our carefully chosen beneficiary Animal Equality! 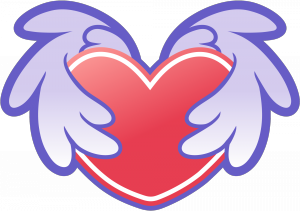 The convention will again dedicate its charity auction to the Seeds of Kindness fundraiser of Bronies for Good – it will be the fifth successive year the convention has supported us. A silent auction and a super speedy Saturday sale will allow potential buyers to bid on their coveted items throughout most of the convention, and the live auction on Sunday will determine who gets the most valuable ones. If you have an idea for a valuable item you could contribute to the auction, then please make Fluttershy proud and donate it, because scores of animals will likely be spared from suffering thanks to your generosity! Please fill in the form for every item, even if you plan on bringing it to the convention rather than mailing it. Having more time to plan the auction helps us handle the items more efficiently and sell more of them. Plus you will know whether your donation meets the requirements before you carry it to the convention. 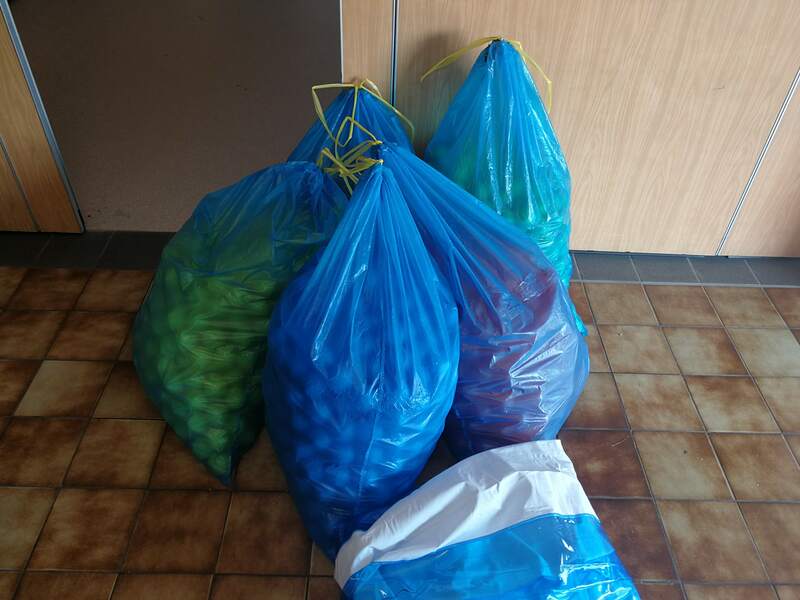 If you have any questions, please email GalaCon at donations@galacon.eu. A pony’s compassion wide – the cutie map has shown us that the well-being of every feeling individual matters never mind where he or she lives. And from the first day, Fluttershy has been the symbol of compassion for all animals, ungulate or not. Many of us have made it our goal to find those individuals that suffer the worst hardships in the world, to find the best ways to help them free themselves, and when we do, to buckle down and get it done. 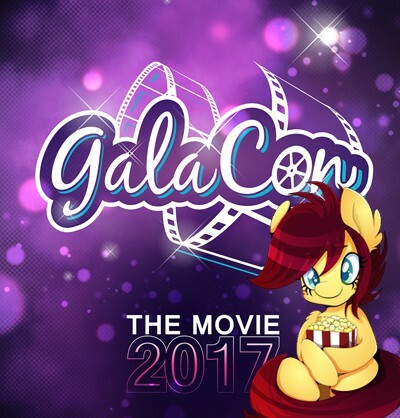 GalaCon is accepting in kind donations for the charity auction! GalaCon will again dedicate its charity auction to the Seeds of Kindness fundraiser of Bronies for Good – it will be the fifth successive year the convention has supported us. A silent auction and a super speedy Saturday sale will allow potential buyers to bid on their coveted items throughout most of the convention, and the live auction on Sunday will determine who gets the most valuable ones. To donate in kind to the auction, please fill in this form for every item, even if you plan on bringing it to the convention rather than mailing it. Having more time to plan the auction helps us handle the items more efficiently and sell more of them. Plus you will know whether your donation meets the requirements before you carry it to the convention. If you have any questions, please email GalaCon at donations@galacon.eu. Each year, musicians, artists, and brony media organizers come together from all across the fandom to make sure Bronies for Good’s annual Seeds of Kindness drive kicks off with a bang. In just a few days, our seventh charity album drops. With 14 songs, over an hour of music, and genres spanning from orchestral, to folk, to several different subgenres of EDM, A Change of Heart is the culmination of months of work from talented, and diverse musicians, all united in their dedication to making the world a better place. After that, it’s up to you. The Seeds of Kindness fundraisers have been an enormous success, thanks to the altruism and generosity of you, the fandom. Come join us in celebration as we kick off another fundraising season with our release party for Seeds of Kindness: A Change of Heart! Stream and group chat enabled by Ponyville Live! On Saturday, February 11, at 4 p.m. EST (9 p.m. UTC), Ponyville Live will host an online fundraiser, complete with a stream of the album, and a public group chat with musicians. When you donate, you can download A Change of Heart, and all of Bronies for Good’s previous albums! You can already donate, and you’ll be able to download all past albums right away as well as A Change of Heart upon the start of the release party. A Change of Heart continues to promote the theme of last year’s album: global empathy. The concept of global empathy is oft misunderstood because it is a very dry term for a profoundly personal and emotional process. Humans are instinctively compassionate; upon witnessing the suffering of sentient beings, we are motivated with a desire to help alleviate said suffering. Regardless of race, background, or country, we care and seek to do our best to help those in need. However, everyone’s awareness has limitations. The modern world is fast-paced, and the suffering of others can all too often seem abstract, especially when it is very far away. It takes work to both remain aware, and to keep one’s heart from becoming jaded. A Change of Heart is all about overcoming those obstacles, as individuals, and as a people. It is important for any charitable enterprise to back a trustworthy and effective cause. Seeds of Kindness benefits the Against Malaria Foundation – an organization that saves thousands of lives by helping to improve health conditions in less-developed nations. GiveWell has rated it one of the best charities in the world. The Against Malaria Foundation stands out because of its strong track record and commitment to efficiency, program monitoring, and transparency. As malaria-infected mosquitoes mostly bite at night, it can be prevented with cheap, long-lasting insecticidal nets. As little as $3 buys a net that will protect two people for two or three years and contribute to the permanent elimination of the disease. Calling all musicians! 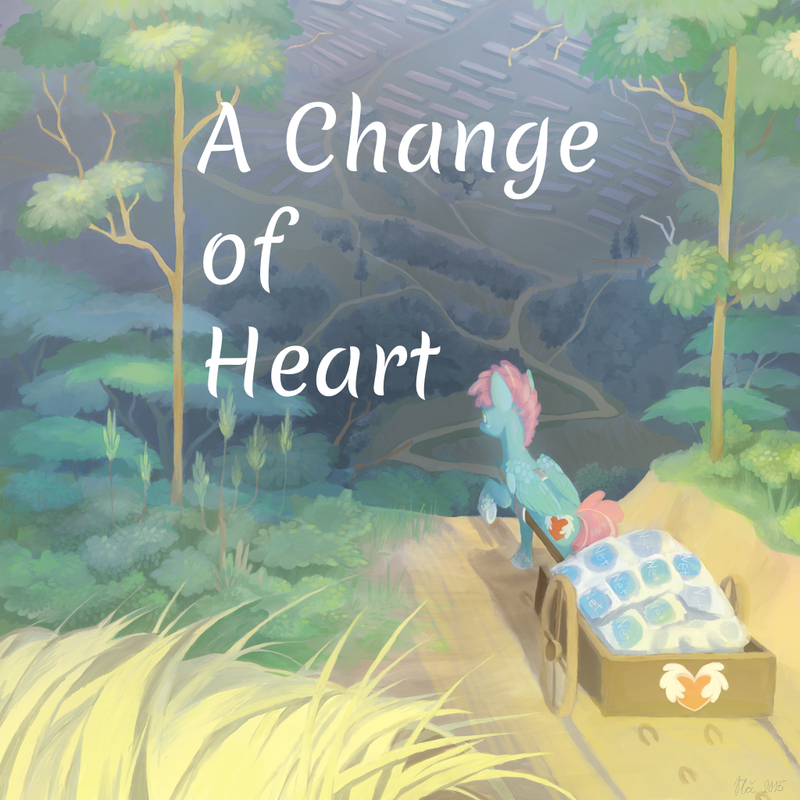 Bronies for Good is pleased to announce its sixth Seeds of Kindness charity album, A Change of Heart. Since our conception, Bronies for Good has raised over $200,000 for various impactful charity projects. We could not have accomplished this without the creative contributions of the fandom’s many talented musicians and artists, and the generosity of thousands of fans who want to make the world a better place. Thank you. Our new fundraiser will launch in February, along with the album, and funds will benefit the highly effective prevention program of the Against Malaria Foundation. 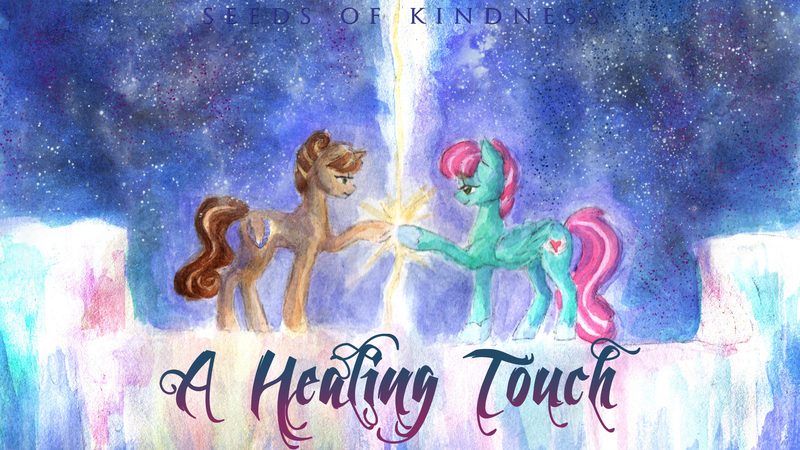 The Seeds of Kindness albums showcase the work of producers who have contributed their time and skills towards creating music for the pony community. These albums encompass genres from dance, to orchestral, to ska, to rock, to 80s metal, to hip-hop, and include contributions from musicians such as EileMonty, Feather, Forest Rain, So Great and Powerful, Cyril the Wolf, Rhyme Flow, and Carbon Maestro. You can download our previous releases from our fundraiser page. Our new album continues to promote the timeless theme of last year’s album: global empathy. The concept of global empathy is oft misunderstood because it is a very dry term for a profoundly personal and emotional process. Humans are instinctively compassionate; upon witnessing the suffering of sentient beings, we are motivated with a desire to help alleviate said suffering. Regardless of race, background, or country, we care and seek to do our best to help those in need. Over 200 million people contract malaria every year, the death toll is equivalent to half a dozen plane crashes every day, and many who survive are locked in poverty due to expensive treatments. It is a permanent catastrophe. The Against Malaria Foundation stands out in particular because of its strong track record and commitment to efficiency, program monitoring, and transparency. As malaria-infected mosquitoes mostly bite at night, it can be prevented with cheap, long-lasting insecticidal nets. As little as $3 buys a net that will protect two people for three to four years and contribute to the permanent elimination of the disease. The efficiency of this form of intervention has been thoroughly proven. Pony and non-pony songs are equally welcome. Submitting a remix requires the permission of whomever owns the rights to the original material. Tone. There is no genre restriction besides common sense. Don’t make anything angry, creepy, or overly depressing, (but emotional is fine), and your song should have no problem fitting in. Length. There is no set length restriction. Long songs are just as welcome as shorter pieces are. However, the length of the song must be appropriate to what your song is seeking to accomplish. Don’t stretch or loop your song solely to fit a given length. This was perhaps the most common issue with submissions to previous albums. Number of Submissions. You can submit as many songs as you want (within reason). Two songs from the same artist can get in without any problem, but over that number (not counting collabs), we might only take the best two of them. Please use this submission form to submit your song. If you have any trouble, please email us at smile.bfg@gmail.com, and we will help you out (Please don’t include attachments in the email, thanks). For the sake of musicians who submit their songs early, there is a set release date. We recommend that you submit before the “soft deadline” so we can still give feedback on tracks that are close to making the cut. You may release your song as soon as the album is out, but please link the fundraiser instead of a direct MP3 download. We will continue to trust our fans to donate to download the album. You can upload your song on YouTube when the album is released, but please do not make your song public until the release date, (thank you). However, feel free to upload previews or ask for feedback! 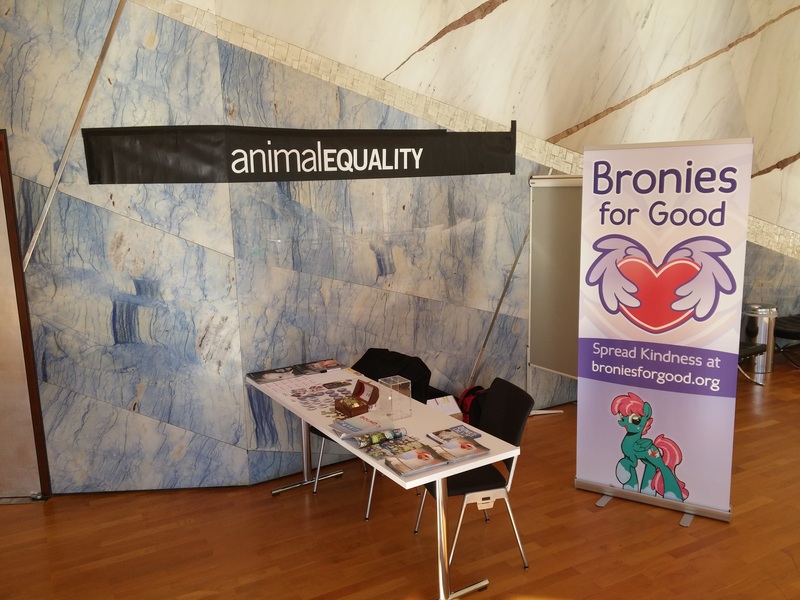 In terms of its social impact, GalaCon 2016 has been the best GalaCon ever. Thanks to the impeccable organization of Lukas Sanders and the other organizers, thanks to the powerful collaboration of Perry and Dusty during the auction, and thanks to hundreds of donors, we have raised over €23,000 for our charity, Animal Equality. Weaker returns at the table (compared to last year when hardly anyone had already read Bound Together) were offset by the strongest live auction in the history of GalaCon. The following figures are based on my own counts (repeated at least twice). The authoritative count by the bank will probably still differ slightly, and I’ll update this post when I know it. For the first time ever we’ve been to Pony Congress 2016 in Elbląg, Poland. The organizers have been extremely welcoming and helpful, and even provided us (i.e. me) with a comped room to stay. Thank you greatly! Thanks also to Rico, who helped me out at the table and enabled my travel back by changing money for me! Even though the con was unfortunate enough to see few attendees (despite having Michelle Creber on their guest list! ), the extreme cost-effectiveness of our charity, Animal Equality, that makes every bit count many-fold, produces a result that we can be proud of. If the cost-effectiveness estimates for Animal Equality that have been compiled by Animal Charity Evaluators are even roughly correct, that boils down to over 7,000 animals spared great suffering! And even if the estimates are high by an order of magnitude (they might just as soon be low by an order of magnitude), that’s still an amazing impact that the organizers and all donors can be proud of! We, Bronies for Good, recommend and support several charities, because research indicates that they alleviate the most suffering in the world per dollar donated. We do not accept monetary donations ourselves. Please donate to our current Seeds of Kindness: A Healing Touch fundraiser and receive the eponymous music album.